CROATIA’S BIGGEST EVER MUSIC FESTIVAL WELCOMES OVER 150,000 FANS FROM 125 COUNTRIES WORLDWIDE & 1.6 MILLION WATCH LIVE VIA UMF TV STREAM OVER 3 DAYS. 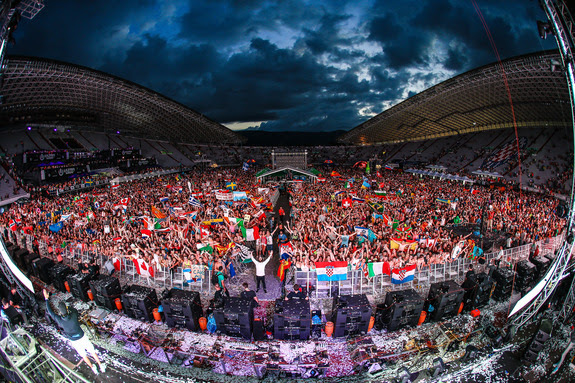 Following its record-breaking inaugural edition in 2013, ULTRA EUROPE returned to the Poljud Stadium in Split, Croatia on 11th – 13th July 2014, to deliver an even bigger and more amazing experience for the vast hoard of fans that once again descended on the truly beautiful shores of the Dalmatian Coast. For three consecutive days, over 150,000 revelers from 125 countries (a new Ultra Worldwide record) danced through the night until sunrise, to a selection of the world’s greatest DJs, producers and live acts. 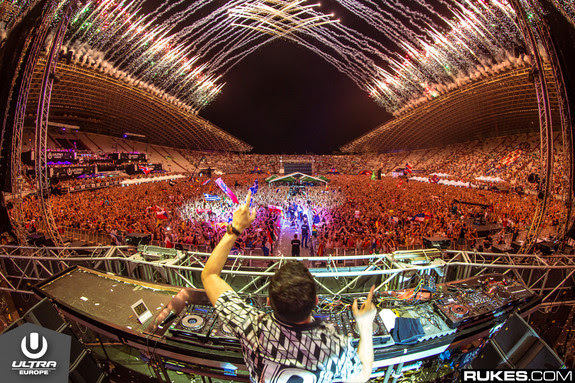 Having expanded from two to three days for 2014, almost 50,000 more than last year’s capacity of 103,000 came to see and hear all of the amazing performers, smashing its own 2013 record that made Ultra Europe the largest music event ever in Croatia. 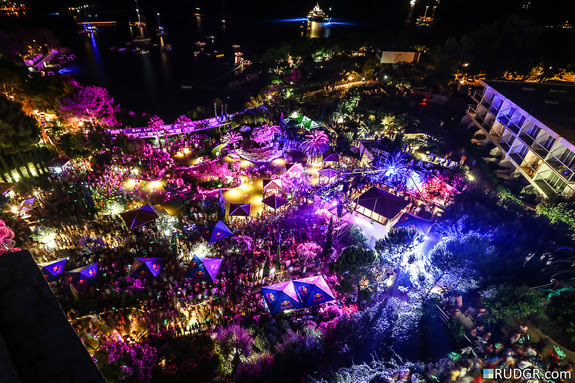 In addition, the exclusive ULTRA BEACH pool party also took place for the second time amongst the breathtaking scenery of the island of Hvar at the Hotel Amfora Grand Beach Resort, building on its immense reputation as one of the most unique and fun-fuelled parties to be found anywhere on the planet. Across the three days in Split, Ultra Europe’s brand new, state-of-the-art MAIN STAGE hosted some of dance music’s most notable titans including Above & Beyond, Afrojack, Alesso, Armin van Buuren, David Guetta, Example, Fedde Le Grand, Hardwell, Ingrosso, Knife Party, Laidback Luke, Martin Garrix, Nicky Romero, Showtek, Steve Aoki, Tiësto, W&W and many more. The Ultra Worldwide Arena, which was notably larger than last year, also boomed out a variety of stellar soundscapes throughout the weekend. Moving through techno & electronica from the ever-amazing Paul Kalkbrenner to bass-heavy sets from Gramatik and Pretty Lights, super-producers Disclosure spun their own flavor of garage-infused house to round off an incredible Friday night. Saturday saw the return of the Carl Cox & Friends stage that has become synonymous with Ultra over the last 10 years, with the main man being joined by legends such as Erick Morillo, Marco Carola, Nic Fanciulli and more for extended sets to bring the massive beats and huge grooves they are so famous for. For the final day, an immense lineup of the finest trance DJs assembled in the arena to raise the tempo and crank the euphoria up to a maximum, spearheaded by icon Paul van Dyk along with an exclusive trance set from W&W ahead of their performance on the main stage. This year’s festival saw the addition of the UMF RADIO stage that brought further exceptional music, with a mix of local and up-and-coming talent from around the world giving it their all and staking their claims for future greatness. Ultra Music Festival has a tradition of breaking new acts, so watch out for these acts as they set their sights on one day being on the main stage. For the millions who couldn’t make it to Croatia for Ultra Europe, the team at UMF TV were on hand once again to share the unbelievable experience with the online global community. ULTRA LIVE broadcast a selection of sets from the main stage and Ultra Worldwide Arena, with over 1.6 million avid spectators tuning in to join the fun. Once the fireworks over Split had signaled the end of Ultra Europe, it was full steam ahead for one of the most insane pool parties to ever take place on the continent, if not in the world. Such was the anticipation for ULTRA BEACH 2014, the event on Tuesday 15th July had completely sold out before the final lineup was even announced. Fresh from playing the main stage at Ultra Korea a month before, Justin Oh kicked off proceedings at the luxury Hotel Amfora Resort pool area, looking out over idyllic views of the Adriatic Sea. 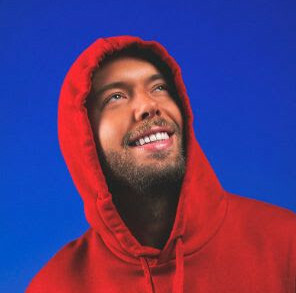 Eclectic samples and monumental bass drops from US star Dillon Francis and super-producer Diplo ensured that the pandemonium set in as early as possible, with the 5000 partygoers dancing and splashing in and around the pool. South African favorites Goldfish then delivered a stunning live show as the sun set over the bay, blending saxophone, keys and double bass with their smooth, euphoric brand of house. After letting loose his distinctive Dutch House sound at Ultra Europe, Afrojack changed it up as the final Ultra Beach headliner with a wide-ranging song selection that perfectly captured the party’s essence and atmosphere. With the second successful chapter for Ultra Europe now wrapped up, all roads now lead to 2015 where it’s certain that the bar will once again be raised to the highest limits. For information on Ultra Europe go to www.ultraeurope.com and for all the latest updates for next year’s festival be sure to head over to the Official Facebook page.